Why Zywoo have to carry him in every event? Apart from him being an IGL, is there any reason to keep him? We got a beautiful silver 1 right here my friends! +1 NBK is just a silver. how's he a good in-game leader? his tacitcs are literally "apex go entry" and "zywoo go kill"
So it's not NBK-'s merit. No history of being carried at all... hltv.org/stats/players?startDate=2017-01.. hltv.org/stats/teams/players/9565/Vitali.. hltv.org/stats/teams/players/9565/Vitali.. hltv.org/stats/teams/players/9565/Vitali.. hltv.org/stats/players Great aim and how he pads his stats: clips.twitch.tv/BrainyFrozenHorseradishA.. clips.twitch.tv/SlickDifficultChickpeaTh..
can u recommend any better igl? "apart from being IGL" ??? In last game vs g2, NBK did more damage than all other teammates. 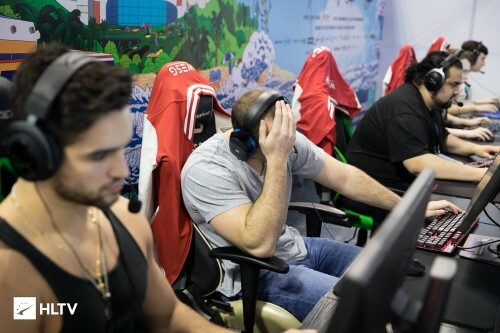 And maybe team is feeling positive when NBK is around, You don't actually know what is going on in their team. Do you have a source to back that up? French casters said that Apex calls some T-rounds and Alex help to micromanage B site and RPK that's all. Yes, french casters and and interview of apEX (french) given on stage. Apex helps on T-side, NBK still the main IGL. Nah they should get me cuz i am a good igl. I call on our mg2 mm matches. You guys talk but know nothing. The actual igl of Vitality is Alex and not NBK. No source, it's a lie, Alex just micromanage B site and RPK, help NBK some times. And apex calls some entries on T-side that's all. No it isn't a lie, French casters said it during Charleroi Event ; they made this change In the same time as they changed banana duo on inferno, also they give more awp to NBK now , all of those changes were made because they didn't feel comfortable. That's why they lost to NRG at SL, they were doing changes. They made changes yes, they didn't transfer IGLing to Alex or Apex, they just help him for T-side. Just the threads I expect from a braindead hltv guy with that name keep it up! NBK is a great guy, is that right? It should have been Happy in his place, little feminine snake!